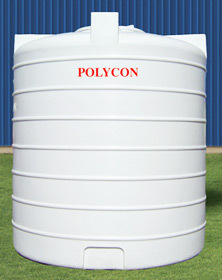 Polycon water tanks are adaptable to a variety of applications in household, water supply schemes, agricultural farms, chemical plants, defence, hospital, office, schools and colleges. Please check our Product Specification sheet for complete list of dimensions available to suit your space and needs. Also visit our gallery page to view various shapes and designs available. Please check our Product Specification sheet for complete list of dimensions available to suit your space and needs.Also visit our gallery page to view various shapes and designs available. 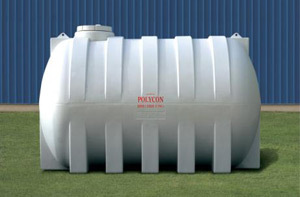 Polycon underground tanks are manufactured as single-piece units. Seamless, one-piece construction. 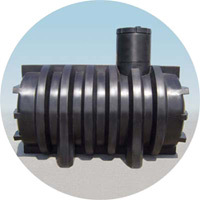 Rotationally molded from FDA approved UV Stabilized Polyethylene. If simple installation guidelines are followed and tanks are inspected, you can expect long, trouble-free service. Its light weight and compact, No heavy lifting equipment is required for installation. Polycon underground storage tank/septic tank is designed to withstand earth pressures that would normally crack traditional tanks. Deeply formed corrugation and longitudinal ribs lend extra strength and stability. The tank does not rust, rot or corrode even without protective coating. Large 18” entry/view port with a man-way riser and a threaded cover are included. 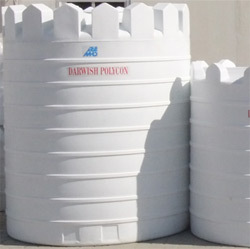 To meet the environmental conditions and end-users needs, Darwish Polycon LLC produces the new generation of insulated polyethylene water storage tanks. Insulation not only increases the strength of the tank but also improves its natural insulation capacity which means that the water temperature is better retained and does not bleed through the sides of the tank so readily. Our insulated water storage tanks have a unique 4-layer insulation that comprises of the UV protector, sun shield, thermal insulator and portability enhancer.